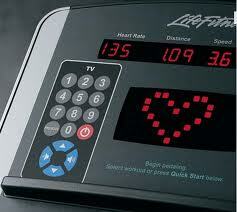 Ever notice a common brand amongst the sea of treadmills and bikes at your gym? One of the more common brands out there, Life Fitness, can be found in many gyms across America. 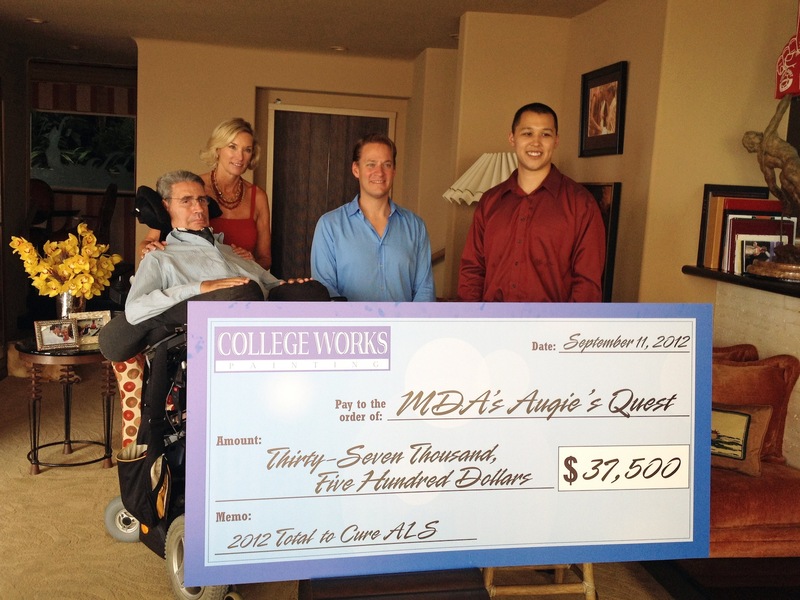 Last week, we handed the co-Founder of Life Fitness, Augie Nieto, a check (video coming soon!) to help aid in his search for finding a cure for ALS (Lou Gehrig’s Disease). Augie’s story is quite a remarkable one, especially for any aspiring entrepreneurs. He helped grow Life Fitness to several hundred million dollars and sold it – more than once. In September of 2005, he was diagnosed with ALS, a disease which inhibits the brain and spinal cord from having control over voluntary movements. I was really excited to actually get to meet the guy in person. Considering his condition, what Augie is able to do is quite astounding. He has hardly any movement in his body right now except for his legs. He can hear, but cannot verbally communicate. He uses a pretty elaborate set up called the DynaVox EyeMax System that allows him to communicate via eye movements. The entire time we were there I was asking myself, “Where the heck does this guy get his motivation?” Since 2005, he’s spent nearly all of his time raising over $30 million for a cure he might not even get to see the benefit of. It really made me think about all the times I’ve ever been too tired to get something done or was too burnt out from school or work. So the next time you just don’t feel “motivated enough” to work hard towards your career or educational goals, think about Augie and where his motivation comes from. He’s not letting anything get in his way. For more information on Augie and his mission to find a cure for ALS, visit www.augiesquest.org. Leave questions and comments below! What Did You Do This Last Summer?